August 18, 2013 July 7, 2014 Joanna V.
I was going to do a wrap-up of my week, but I really didn’t do much this week that would make a post (that I haven’t already written, anyway), so here. Have a dragon postcard. 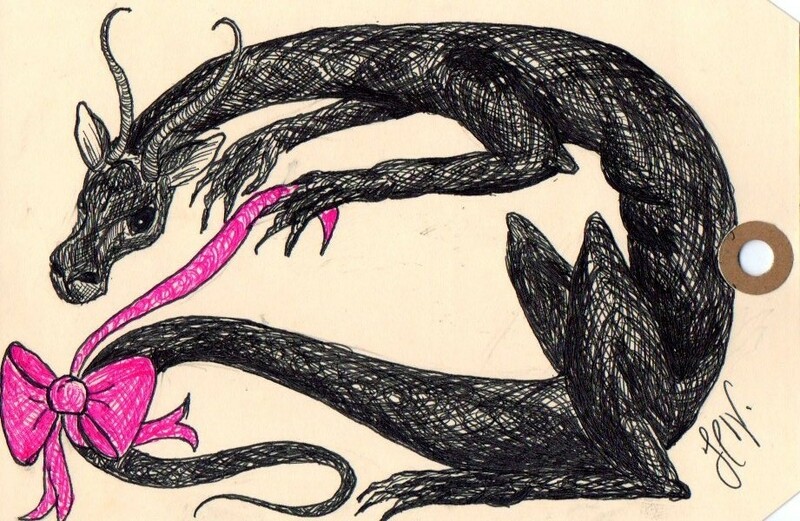 The postcard came from a scrapbooking store and I drew the dragon myself. I haven’t really drawn anything much in several years, so I decided to see how rusty my skills were. They weren’t too bad, but I found that I haven’t progressed at all for the obvious reason that I haven’t practiced at all. 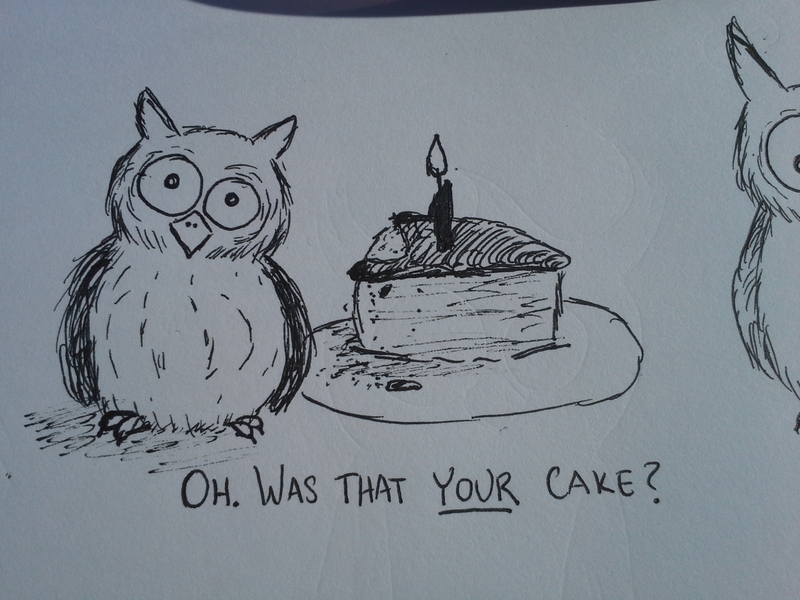 I did find that I’m a lot more confident with cartoon type sketches, though, and doodled some owls the other day. So there you go. I like that he looks a bit worried and also fat, like this isn’t an unusual snack. There were a lot of less-cute looking owls before this one that I won’t show you, but I’ve found a nice little “template” that I can reproduce, which is cool. No use for them at the moment, but maybe at some point I’ll think of something other than simply filling my sketch book. Previous postSaturday Caturday: unicorn-cats… unicats?